It's about that time of year again, a few weeks before the anniversary of this blog when we go searching for something special to treat ourselves with. For the first anniversary, we ordered a few of these architectural notecards by Andrew Zega & Bernd H. Adams. Last year we looked into getting a weather modification machine, specifically this portable hurricane, before deciding to buy a couple more notecards. This year, we'll probably just order yet more notecards, although what we really want is this lighthouse, pictured above, which is being auctioned off by the fantastically named U.S. Office of Property Disposals. 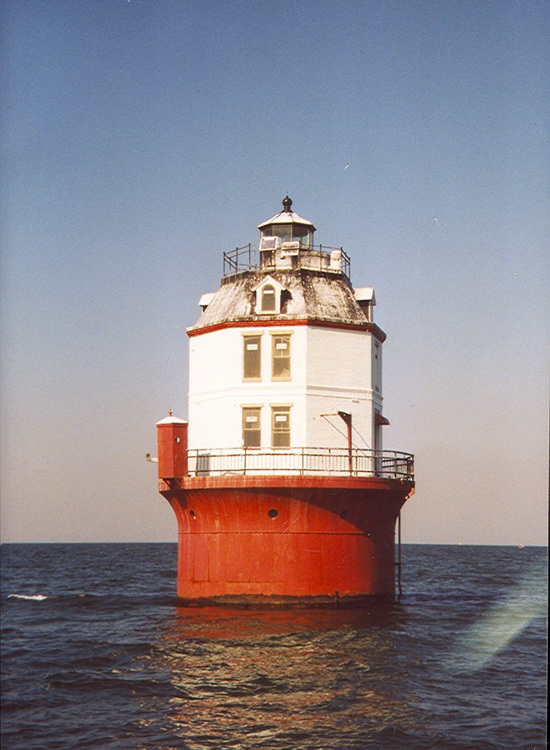 It's located in Chesapeake Bay about 5 nautical miles from the nearest shore. It has “elements of the Second Empire architectural style,” we read. When the auction ends, perhaps we'll learn that Zega & Adams gave the winning bid. They plan to remodel it into a chinoiserie pavilion, so that they can reenact some of the wildest garden debaucheries of Marie Antoinette. Or preferably, we find out that a fan of Arnold Böcklin is the new owner. He wants to convert the building into a columbarium. In still weather or rougher seas, the dead will metaphorically cross the Styx to their final resting place, which in its former life illuminated and guided the lost but, like them, is now extinguished. "SALE CANCELLED for Offshore light/Chesapeake Bay - This sale is hereby cancelled due to safety requirements of the U.S. Navy"
Rude. Lucky there's another one. Uglier though. Really cancelled? I must be blind or embarrassingly illiterate because I can't find where it says that. Where did you read that?